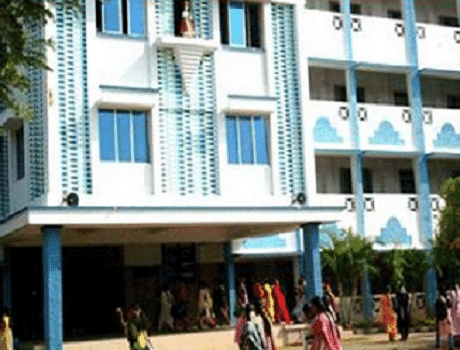 Idhaya College for Women was established in the year 2000 in Thanjavur, Tamil Nadu. The aim of this college was to provide quality education to women and to encourage their growth and development in all sectors. The institution also aims at all-round development of the students and not just concentrates on academic excellence. Owing to this, the institution trains their students to imbibe cultural and ethical values. Their mission is not only to create academically qualified individuals but also to develop a sense of social responsibility among them to serve and nurture the society. The institution with the motto 'Strive to Shine' has been able to produce many successful academicians, scientists, administrators and many more who have contributed excellently to their fields and the society as well. Why to Join Idhaya College for Women, Thanjavur? The Idhaya College for Women has been active in intercollegiate activities and has achieved many awards and accolades. The college as well as the students individually has been achieving ranks at the University level year after year. There have been many merit holders at the University level who have also received grants and scholarships from the University. The institution actively conducts various training and development programs for the students according to their respective fields in order for them to understand their subjects better. These training programs have been instrumental in preparing the students for work environments. Also, the college has conducted recruitment drives through which they have successfully achieved placements by reputed companies like Wipro, ICICI Bank and many more. P.B.No. :66, Mariamman Kovil Street, Sakkottai, Thanjavur Dt.